National Union chairman warns against agreeing to a ceasefire: That would be surrendering to a terrorist organization. 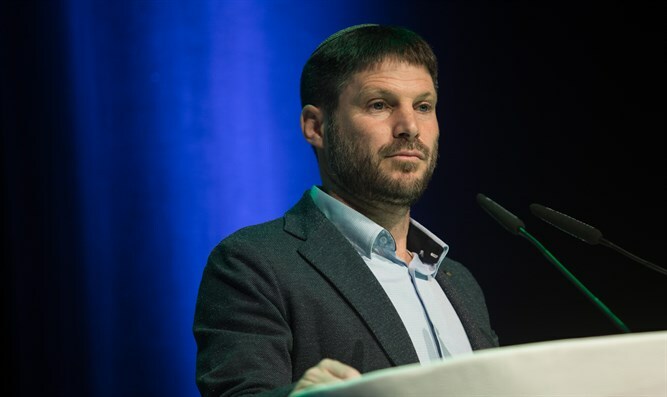 National Union chairman and one of the leaders of the Union of Right-Wing Parties, Bezalel Smotrich, participated on Monday evening at a conference to strengthen the residents of Ashkelon. Also in attendance were the chairman of the Union of Right-Wing Parties, Rabbi Rafi Peretz, and one of its Knesset candidate, Yossi Cohen, a resident of the city. Smotrich listed three tactical strong blows that the political echelon should direct the IDF to carry out in order to strike a strong and disproportionate blow on Hamas. "The Hamas camps in Israeli jails must be closed and the conditions of the prisoners must be reduced to the minimum required by the international conventions. We must return to targeted killings and return the terrorists to their hideouts, and we must also remove 40 buildings for every missile fired into Israeli territory, no matter where," Smotrich said. He also warned against agreeing to a ceasefire at the present time, saying, "This will be surrendering to a terrorist organization and will only lead to postponing the next round without Hamas having been deterred. Only we should decide how, how much, when and under what conditions there will be a ceasefire."